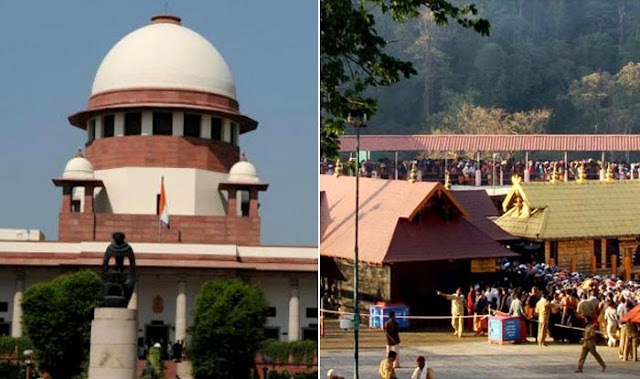 The Apex Court on Tuesday declared that all the fresh pleas regarding the Sabarimala Temple will only be heard after the positions of earlier petitions seeking review of the judgement which allowed the entry of women of all age groups into the shrine is decided. A bench including Chief Justice Ranjan Gogoi said that a five-judge bench would be hearing the review petitions at 3 pm on Tuesday. If the Supreme Court decides to review the verdict then the new petitions would be heard along with the review petitions and if it rejects the review petitions then the fresh one would be heard independently on merits. 48 petitions which are seeking review of the judgement would be considered in chamber by a bench of Chief Justice Gogoi and Justices R F Nariman, A M Khanwilkar, D Y Chandrachud and Indu Malhotra. A five-judge constitution bench headed by the the Chief Justice Dipak Misra on 28 September, in its 4:1 verdict allowed the entry of women of all ages into the Sabarimala Temple and labeled the ban of the entry of women as an act of gender discrimination.